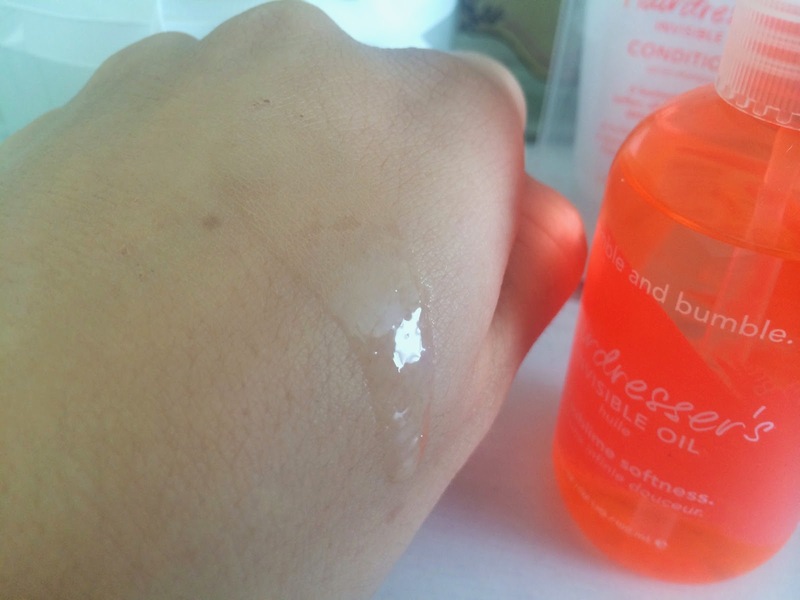 The Invisible oil comes in a bright orange plastic bottle with a pump that dispenses just the right amount of product using one press - this saves mess and over using the product which is a brilliant idea, I cant stand the ones that come without a pump as I always pour out far too much. 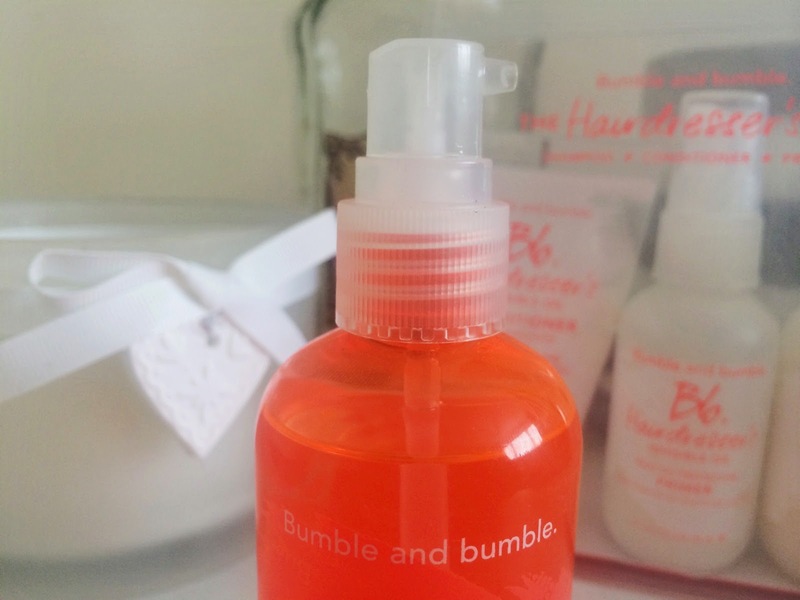 All though I have tried a fair few hair oils, I have to say that the Bumble and Bumble Invisible Oil is becoming a firm favourite along with my Morrocanoil one. Its really nourishing and helps tame my crazy fly-aways. As far as hair oils go this one has to be the lightest one I've ever tried so its going to be perfect for people with fine hair as its not going to make it feel weighed down or greasy. The great thing about this product is that it contains UV filters and Heat Protectant, so if your forgetful like me with using heat protectant this is going to be a god send for your hair. After washing my hair and spritzing in a bit of the Bumble and Bumble hair primer, I then work in two pumps of the Invisible Oil on to the mid-lengths and ends of my hair as this needs the most attention, then I dry my hair and style as usual - if my hair is looking pretty static afterwards I will go in with a teeny bit more oil and gently go over my hair to smooth it all out and add a bit more shine. It works a treat, leaves my hair soft and shiny and It also has a really lovely sweet scent to it. Another little tip I have for extra nourishment is to add a pump or two to your favourite hair mask. 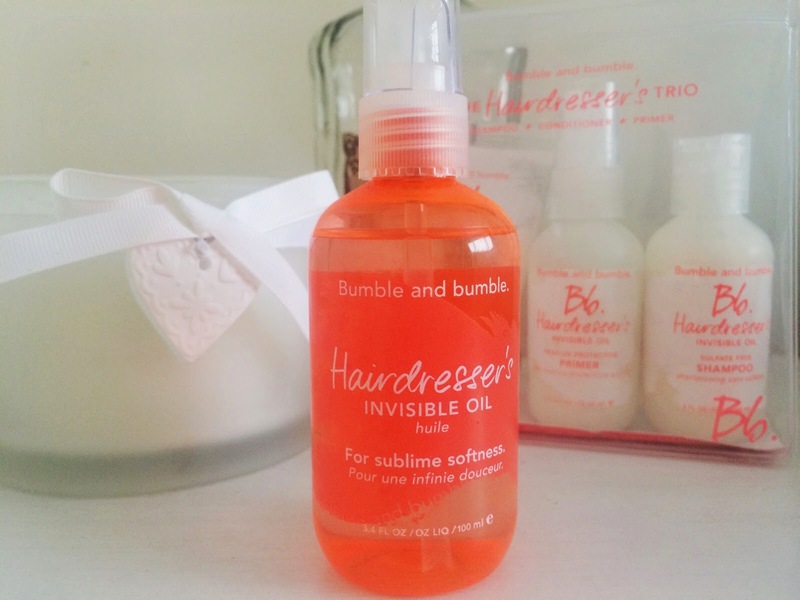 Have you tried anything from the Bumble and Bumble invisible oil range? What is your favourite hair oil? I'd love to hear your thoughts. My favourite is the Kerastase Elixir Ultime, but I am so tempted by this!! I have never been overwhelmed by Bumble and Bumble, but I am tempted to try them again with this oil. Being invisible sound ideal for hair! So tempted to pick this up! Love the fact its lightweight, i have such thin and dry hair so this sounds exactly like what my hair needs at the moment! Its use soft and sine hair its lightweight such a thin dry hair needs at the moment being invisible sound like must try this oil!